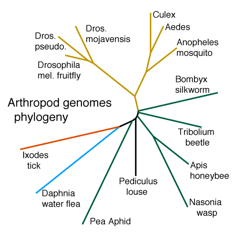 D. Gilbert, OrthoMCL clustering among 14 arthropod proteomes (ARP2). 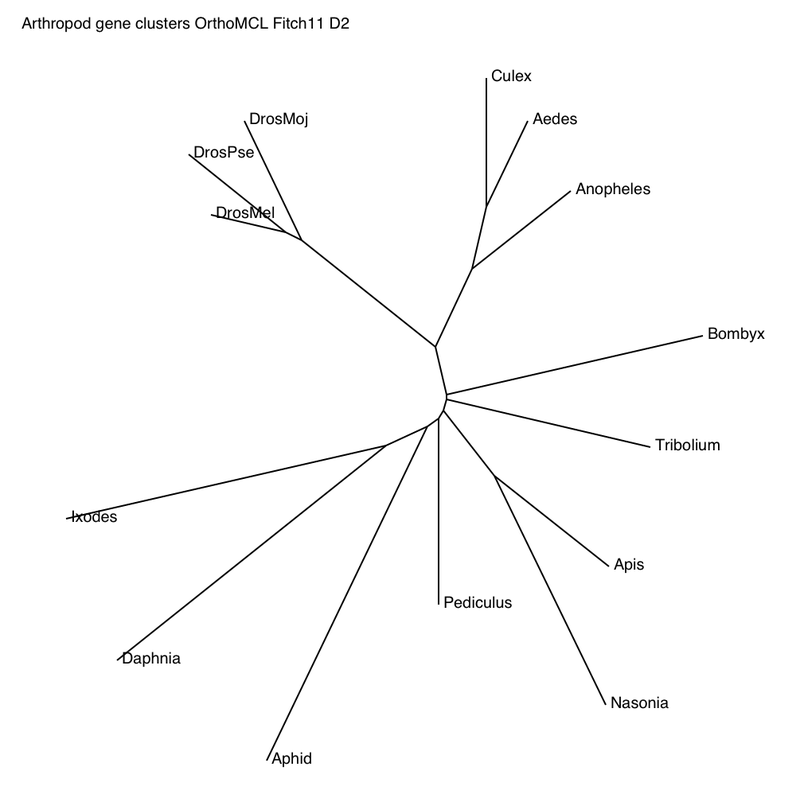 D. Gilbert, OrthoMCL clustering among 13 arthropod proteomes (ARP1). 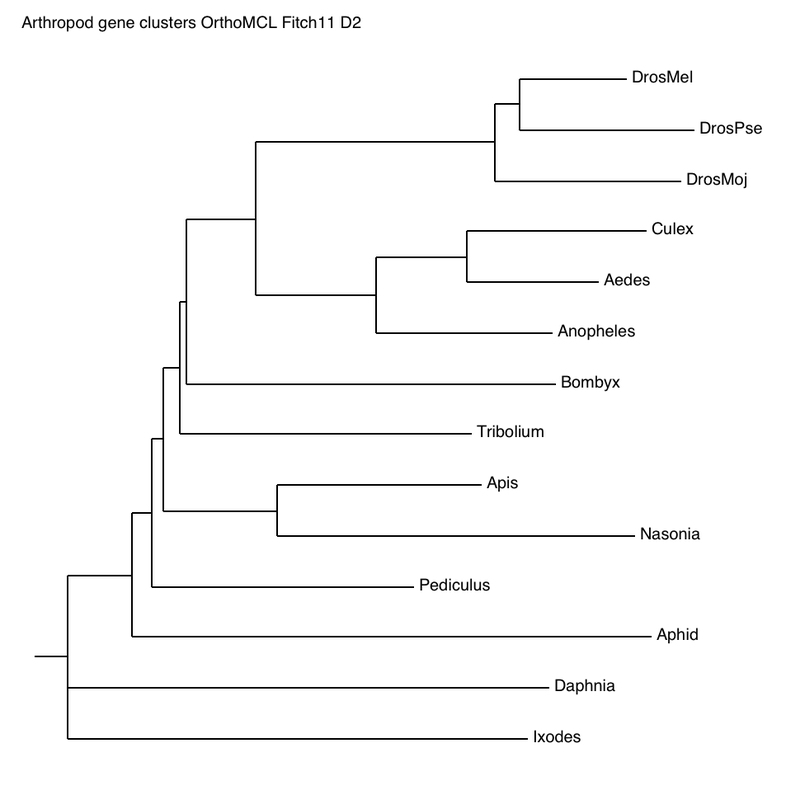 OrthoMCL: Identification of Ortholog Groups for Eukaryotic Genomes. Genome Res. 2003 13: 2178-2189.